11.13.16 Burning of Pride Flags in the neighborhood ROCHESTER, N.Y. The rainbow flag is a sign of pride amongst the LGBTQ community. Earlier this week two flags were burned while on the flagstaff of two Rochester homes in the North Winton Village. In a sign of solidarity, the neighborhood association passed out pride flags. "It's just amazing that everyday people are coming out in droves to support one another," said Bryce Miller, North Winton Village board member. "No matter what happened in the past week, at the end of the day we are all still Americans and neighbors and we're going to lookout for one another in a time of need." Across the nation people have been worried that the hateful rhetoric of the election would carry over into people's daily lives, but one attendee focused on the positive. "We all need to forget about what happened with the election and kind of focus on standing together," said Kathleen Eisenberg. During that time of need, some say love is the key to recovery. "My biggest thing is if you're going to throw hate at us, we're going to throw love right back at you," said Toby Harris. As for those two flags that were burned, Rochester Police are investigating these as arson cases. So far no arrests have been made. 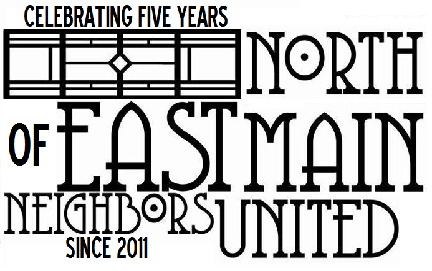 2.10.16 North of East Main Neighbors United's Stance on Home Leasing Project in the EMMA Neighborhood. 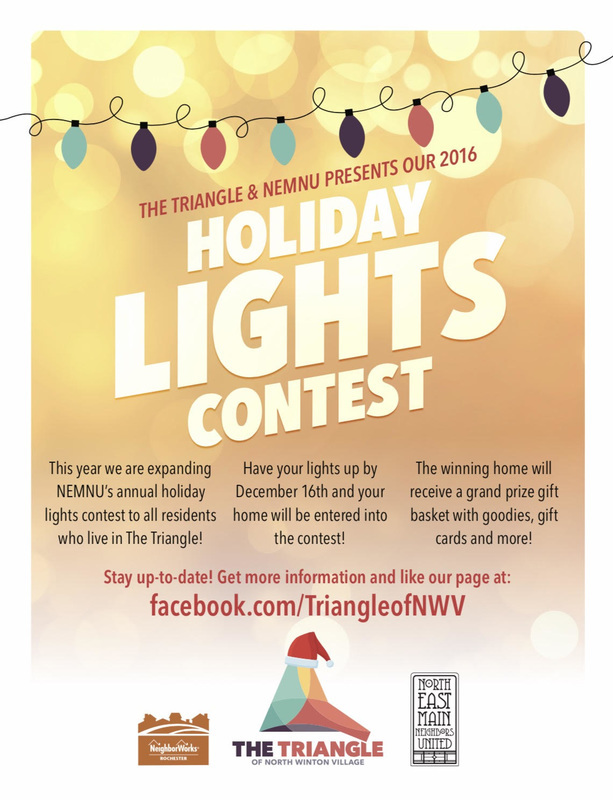 NEMNU supports the EMMA Neighborhood Association in opposing the development of apartment units on East Main Street at this time. NEMNU favors investment in the neighborhood's existing home stock and storefronts before the construction and installation of this project. We have learned that 900 Culver Road is on track for completion by the end of July 2016 with occupancy in August 2016. The 2015 Adopt a Pot program is well underway! If you would like to adopt a pot or would like one located at the corner of your street, please email nemnuroc@gmail.com. Volunteers will be responsible for providing plants for the pots and caring for them until fall. If you are unable to adopt a pot please enjoy their beauty and please report any acts of vandalism you may see. Happy summer everyone! Rochester, NY (May 14, 2015) — The North Winton Village Association is pleased to announce that Aldi has released a new site plan for their proposed grocery store on the corner of North Winton Rd. and Blossom Rd. in Rochester. Our zoning and economic development committees have worked with Aldi and the City for approximately a year on the project, and the new plans reflect changes made at our request. The North Winton Village Association welcomes appropriate development and is continuing to work with Aldi and the City to design a safe and congruent site that addresses building placement, traffic concerns, and exemplifies the “urban village” aesthetics of the neighborhood. A public review of the new designs will take place with representatives from Aldi, the City of Rochester, and the North Winton Village Association at a time and location to be determined. Since 1995, the North Winton Village Association has worked tirelessly to promote, organize, and conduct activities to improve preservation, beautification, culture, and education in the North Winton Village neighborhood of Rochester, NY. The association partners closely with the City of Rochester Police Department, city code enforcement, economic development, organizations, businesses, and our fellow neighbors to develop and maintain a community that combines the charm of an early 20th century village with 21st century amenities. The Rochester School District this week got final state approval for the East High School-University of Rochester marriage and a $200,000 wedding gift to go along with it. The one-time shot of cash from the New York State Education Department came in the form of a school improvement funding award. UR will take over East starting this summer. In a statement, school board president Van White said: "The Board of Education believes that the state education department's final approval ... represents a pivotal turning point for East and a major step forward in our ongoing efforts to transform our entire district one school at a time." The $200,000 is in addition to $10.1 million in East funding that Superintendent Bolgen Vargas requested last month while testifying to the Legislature in Albany. Also this week, the district handed out 34,000 free books — one for every student — in advance of February break, which begins Monday. The books came from a district warehouse and included leftovers from previous giveaways. The distribution was part of Vargas' Operation Literacy and is in line with his stated goal of helping students, especially younger ones, read better. Henrietta Town Supervisor Michael Yudelson says break-ins have gone up in his town and he believes it's a problem in your town too. The town supervisor is so concerned that he is hosting a community meeting with police on Thursday to talk about what's going on. That meeting will be at the Henrietta Town Hall on Calkins Road at 7 p.m.
News10NBC wanted to know what you can do to keep your family, home and neighborhood safe. We spoke with one group who has a 'zero tolerance' policy against crime in their neighborhood. They say it's working and a big key is to know the people who live around you or on your street. Bryce Miller of North East Main Neighbors United says, "I would say our crime has come down 50 percent in the last three years especially when it comes to home burglaries." Three years ago, Bryce Miller and several of his neighbors created the NEMNU after about two dozen homes break-ins in the area. Since then, he says the neighborhood he calls home is a different place. How did they do it? He says it's simple. "We have social activities to get the neighbors to know each other," says Miller. "That way if they get to know each other, they won't be afraid to rely on each other to be allies. 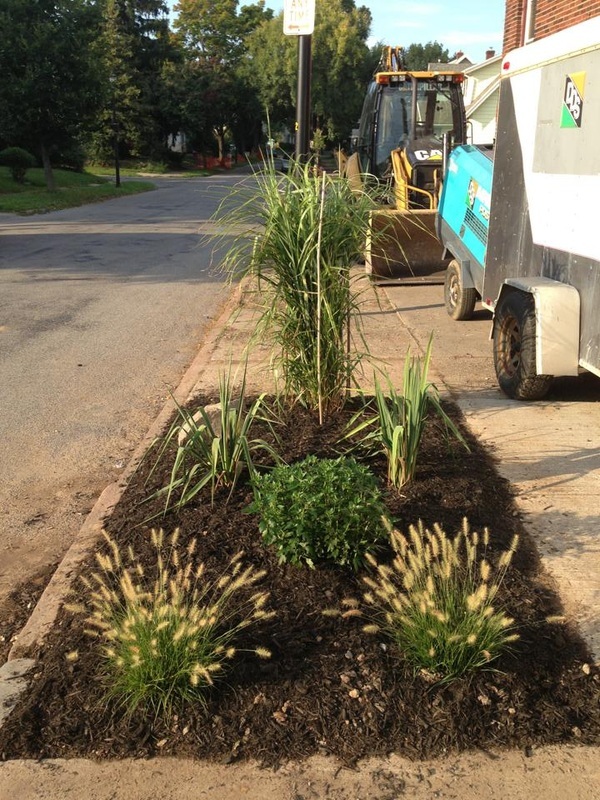 We do beautification projects, which neighbors come together and help with as well. So, it's really a social circle." Now if someone in the neighborhood sees something suspicious or hears about an incident, everyone else knows within minutes thanks to social media and emailing. "I know many of my neighbors now. I know every person on my street," says Miller. "We have each other's phone numbers, we have each other's emails. We look out for each other and we don't see crime on our street." 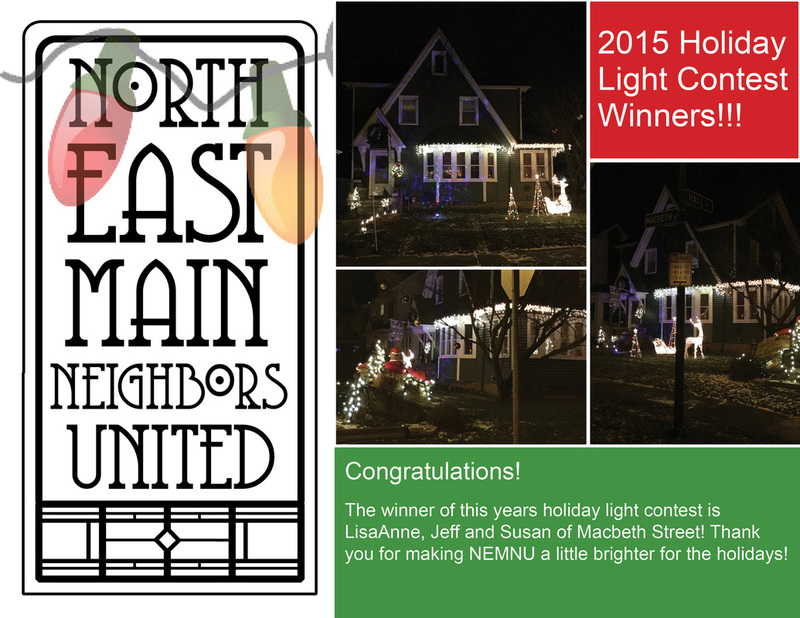 NEMNU is part of the larger North Winton Village, where neighbors have been working together for 16 years to keep their streets crime-free. The City Newspaper now calls that village one of the four best places to live in the city of Rochester. Mary Coffey of the North Winton Village says, "You don't even think about it, you just work so hard to keep it going and it just happened. Because we just kept going at it and there's not one paid employee in North Winton Village, that means it's from heart." Coffey could not stress enough the importance of becoming a partner with the local police and creating a way for residents to report crime and criminals anonymously. And for residents in Henrietta, Miller recommends creating some sort of neighborhood event to help you get to know another. On the afternoon of August 20, 2013, East Division Officers responded to an address on Lockwood Street for the report of a burglary in progress at a home. As officers responded, witnesses informed 911 of the suspect description and direction of travel as the suspect left the residence. Some officers responded to the home while other officers searched the area for the suspect, who was located a short distance away and found to be in possession of property that was stolen from the victim’s home. Arrested was Stephen C. Jones, dob 11/17/1996 of 420 Rosewood Terrace. Jones stated that he only entered homes that were unlocked. Jones was charged with multiple charges of Burglary 2nd Degree and Grand Larceny. Investigation continues. * This is the second time that Mr. Jones has been arrested in our neighborhood for the same crimes. Please be advised that yesterday, July 30th between 11:00am and 1:00pm, there was a burglary on Maxson Street. An unknown person(s) entered the home and electronics were stolen from bedrooms. Police were called and fingerprints were taken at the scene of the crime. The homeowner was in the home during the time of break-in and there were dogs on the property. Please call 911 if you see any susupicious activity in our neighborhood and inform NEMNU here. Foodlink believes that access to fresh produce is key to fostering a healthy community. This summer, Foodlink is assisting with 12 farm stands throughout the City of Rochester and NEMNU is excited to have one located in our neighborhood! Local fruits and vegetables are available for purchase at affordable prices at Coffee Connection at the Greenhouse Cafe on Tuesday's from 3pm-7pm. Any leftover produce is available for purchase in the same location on Wednesday mornings until it is gone. Recipe cards are also available to help plan meals. Produce can be purchased with cash, debit or EBT. Due to Rochester's seasonal weather, Urban Farm Stands only run during the months of July to October. For more information about Foodlink, their programs and services to help combat hunger in Rochester, click here. Stay informed. NEMNU sends out a newsletter once per month. We also send important updates including: crime prevention, events, and neighborhood bulletins.